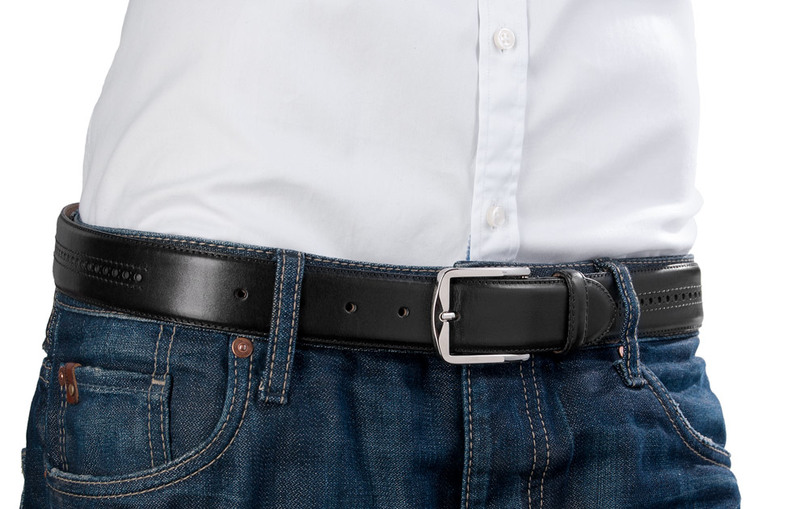 The term “closure length” means the distance between the buckle’s outside edge to the middle belt-hole – and that is the third belt hole. This closure length should match your waist size perfectly. The buckle is fixed to the belt with a filigree screw, easily allowing the wearer to adjust its fit at any time. Crafted from two tightly stitched-together leather layers, our brogue belt in black is additionally equipped with a decorative lyre perforation. The inside consists completely of untreated French calf, while the outside boasts dyed leather. 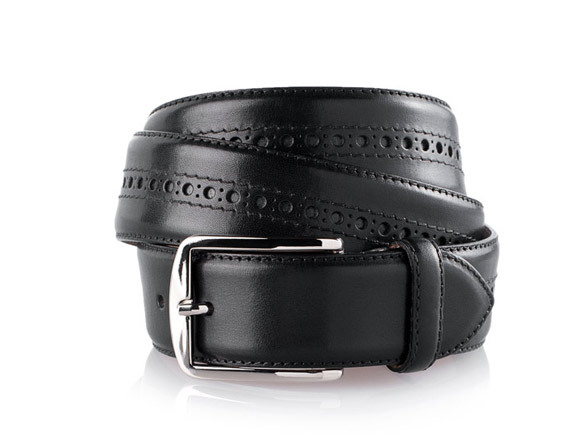 Combine this black brogue belt with our men’s brogue shoes for a perfectly co-ordinated look. 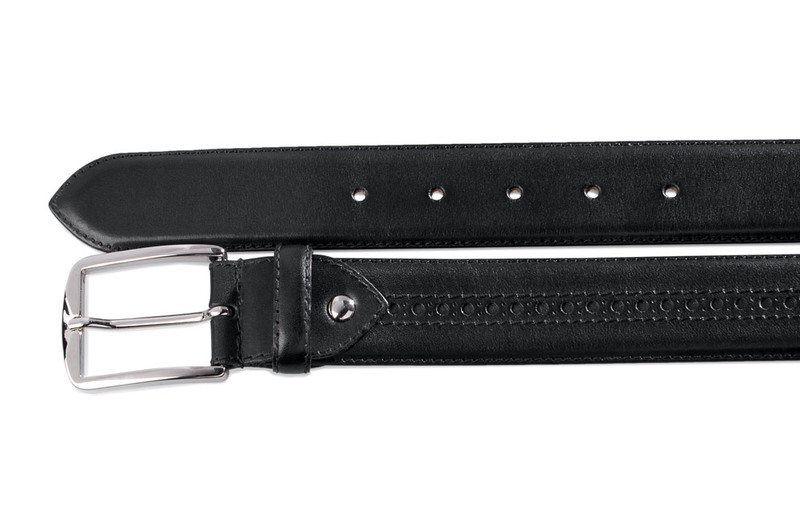 A luxurious buckle closes our punch-patterned belt in black, which is completely nickel-free, meaning it is also suitable for allergy sufferers, too. 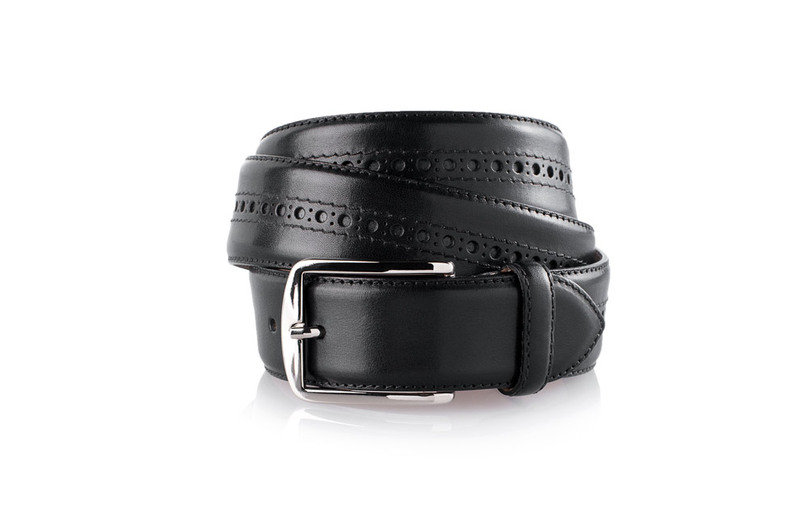 The brogue belt is easily tightened, and is the ideal choice for both formal and casual settings. 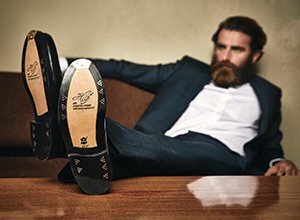 All of our belts are crafted from exactly the same leather, which is used to produce our Goodyear-welted shoes, meaning they achieve the same characteristics of style and durability as our footwear collection. Our black brogue belt with a punch pattern is available in five different lengths. Each is adapted to the right waist measurement of your trousers and measured from the buckle’s outside edge to the middle belt-hole. 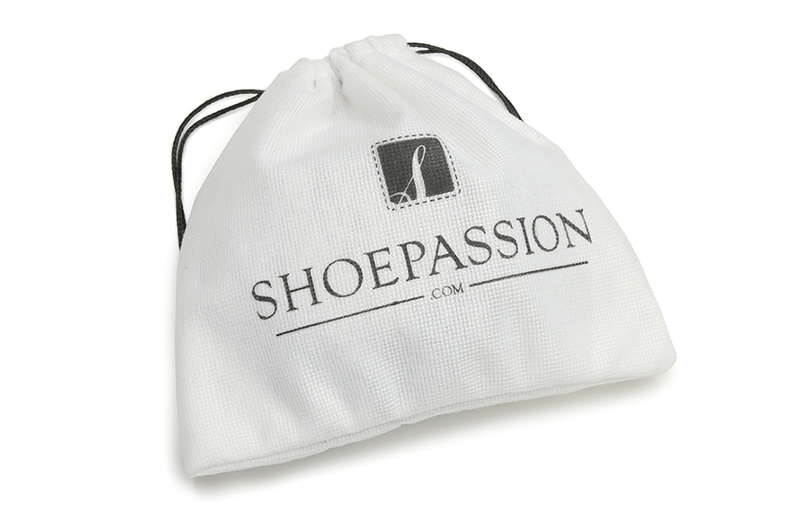 Our black punch-patterned men’s belt is sent in an elegantly white cloth bag with the elegant SHOEPASSION.com logo, protected from soiling and scratching. The black brogue men’s belt matches the SHOEPASSION.com black men’s brogue shoes.